Want to be amazed by your friends and laugh until your sides ache? This professional, funny, fast and highly original comedy stage hypnotist will astound you. REAL amazing hypnosis for real people - no kidding. Ordinary members of the public (like your friends) volunteer and quickly become deeply hypnotised. They are then free to become hilarious characters and enjoy an amazing journey through the mind. Don't worry, they won't hear the audience falling about with laughter !! Book with confidence - member of Federation of Ethical Stage Hypnotists - fully insured. His family friendly shows can easily be tailored for a more adult audience. You don't have to be rude to be funny !! 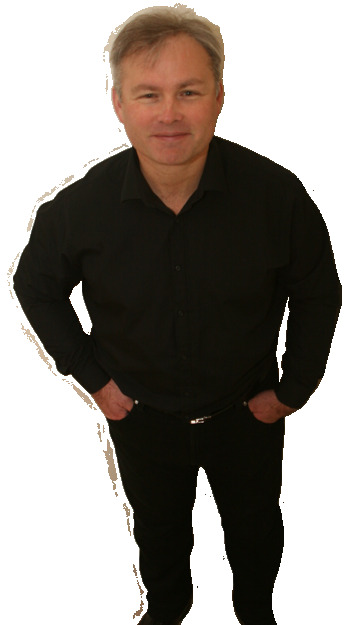 His background in sales training makes him perfect for corporate as well as public comedy stage shows, blending skillful hypnosis with the funniest and most amazing routines. Got an open night or need someone to entertain the troops? - you've found it. He will guide them through such funny antics, you would think they really were martians or film stars or milking cows etc. Perfect for corporate shows / events / awards / team building, private, military, weddings, divorce parties, birthdays, stag and hen parties, schools, colleges, universities, pubs, clubs, and holiday camps etc. Charity event friendly - just ask. Booked [this act] for a Christmas party and it was BRILLIANT ! Really funny and tasteful - even the non believers were amazed. We will definitely book again - highly recommended. We booked [this act] as the entertainment for our big summer garden party. Well - what a blast we all had ! Many people were initially skeptical as there were a lot of professional people there but by the end we were laughing so much - it was amazing what he can get people to do !! Thoroughly recommended. It was a hot and difficult show with a smaller audience than expected but he pulled it off and we all had a great time. Easy to work with, professional and funny. "We booked him for a Comedy & Curry Night we organised to raise money for The Brain Tumour Charity and we were not disappointed. The show was fantastic and SO many people came to me afterwards and said how much they enjoyed it! Not only was his show great, but Simon’s communication from the second I rang him to find out what he was all about to even after the event was second to none and it put me completely at ease about his part of the show. Reliable and totally professional – would definitely recommend him to anyone”. We booked him as an act for our annual "Party in the Car Park" and it was brilliant ! So funny and amazing to see people you know do the most crazy things. Great entertainment. Thoroughly recommend.